Microsoft intros Classroom Pen designed specifically for K-8 students and schools. Microsoft today introduced the Microsoft Classroom Pen, an all-new pen designed specifically with K-8 students and schools in mind, and optimized for use with Surface Go. The Microsoft Classroom Pen is designed for students who put their learning tools through heavy wear and tear and features a durable, hardened pen tip and a replacement tip for each pen included in the box. Plus, a built-in slot at the end makes for easy tethering to students' device cases, so the pen doesn't get lost. Microsoft Classroom Pen will be available exclusively to education institutions and sold in packs of 20 for a cost of $799.80 USD (approximately $39.99 per pen). 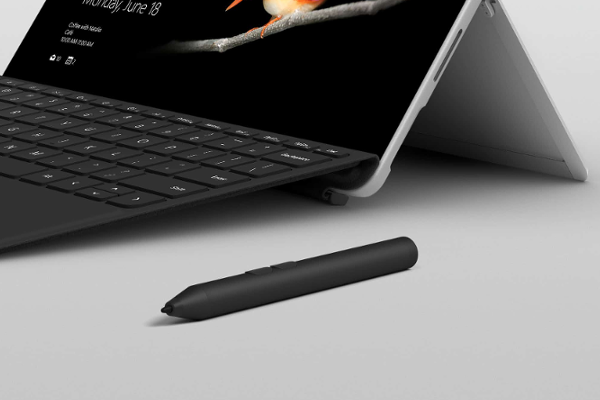 It will ship in all 36 Surface Go markets around the world, with the first wave of availability beginning next month, so schools may begin placing orders for the upcoming school year.